Ever since I discovered Shakespeare’s historical plays at age 11, I’ve been fascinated by the Plantagenets, the dynasty of English/Norman kings who counted among their number some of the greatest scoundrels and most illustrious monarchs (some of them one and the same) England has ever known. The reader is prompted throughout to contemplate the fickle finger of Fate (or Karma) as monarchs triumph, only to crash and burn. Sometimes, they are able to hoist their luck up Fortune’s Wheel again, but dastardly deeds, cruel betrayals by family and friends, internecine wars — in short, all the “slings and arrows of outrageous Fortune” — are unloosed on nearly all Jones’ primary subjects in the course of their eventful lives, often by their own actions. King Lear hath no tragic chops over Richard II, whose wife and sons tried to depose him. 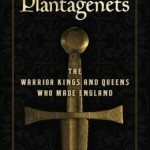 But despite the tragic — and sometimes comic — elements of their history, The Plantagenets also had a profound effect on English law and custom that continues to reverberate down to our present time, as Jones reveals: the creation of the Magna Carta, for example, with its establishment of rights of the governed. As President Obama erodes the right of habeus corpus with his “targeted” killings of American citizens, we would do well to contemplate with what copious amounts of blood this right was birthed and defended over the past 800 years. And the penchant for wars in the Middle East (the Crusades then, our adventures in Afghanistan and Iraq now) has been devastating for the balance sheets of rulers from Henry II to President Bush II and the current US administration. 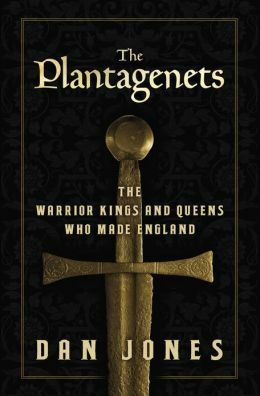 In The Plantagenets, Jones gives the reader many rip-roaring yarns, a good lesson in history, and much food for thought about current events.